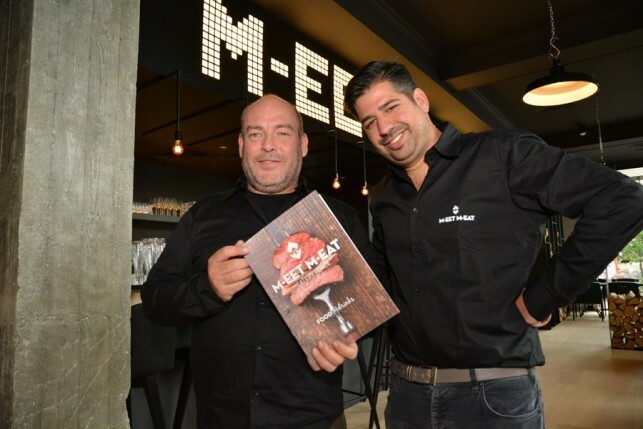 M-eatery is a new restaurant located in Mechelen, just in front of the NMBS train station. 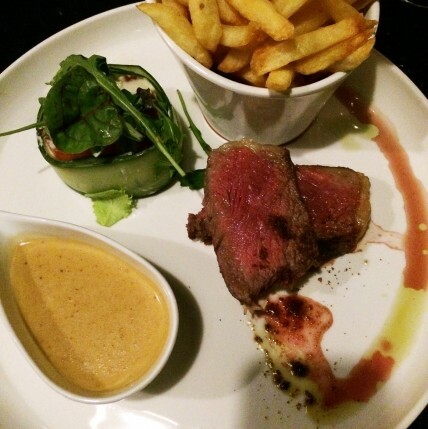 The restaurant’s concept is focused on grill specialties with a gastronomic twist. The restaurant is owned and managed by Pascal Van Himste en Mehdi Mathlouthi and they selected a young and dynamic team to cook and serve the guests. 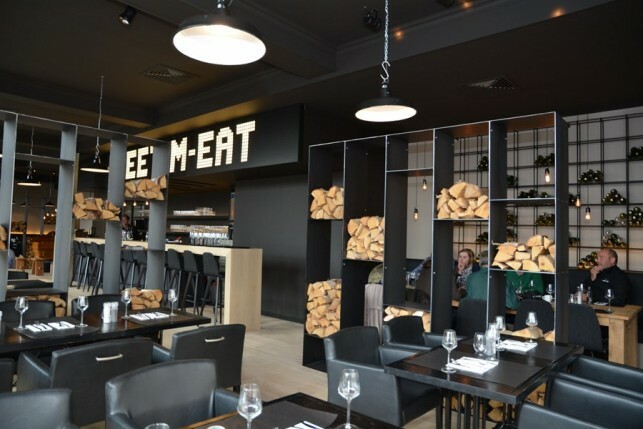 The owners wanted to create a modern, no-nonsense restaurant where guests can taste a delicious piece of meat, discover a cocktail or a good glass of wine with a tasty antipasti, and, most important, enjoy a great moment with friends. M-eatery is quite a big restaurant with a nice open kitchen, a beautiful glass cabinet with a Berkel meat slicer, and several dining compartments. The place boasts a modern interior with predominantly dark shades like black tables and black chairs. The interior was designed by Anneke Crauwels and Ariane Van Craen (ANA Architects) and nice touches such as a wall cabinet with wood logs provide warmth. 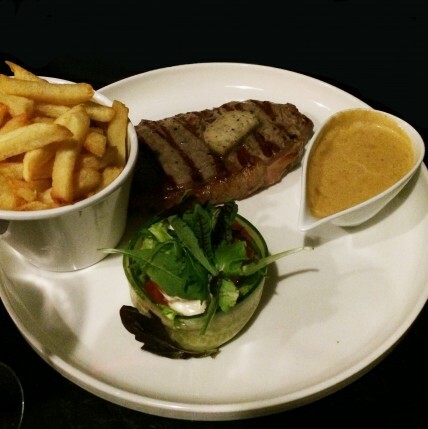 M-eatery offers a high quality, modern brasserie cuisine with a focus on grilled meats (prepared on the Josper grill). Guests can only choose from the à la carte menu which features about 10 starters, 10 smaller lunch dishes, 15 different types of meat from the grill (such as Wagyu, Belgian white-blue, Secreto no. 7, ..), 4 other meat dishes, 6 fish dishes and a few seasonal suggestions. The varied menu displays a sense of creativity and reading the menu sharpens the appetite. 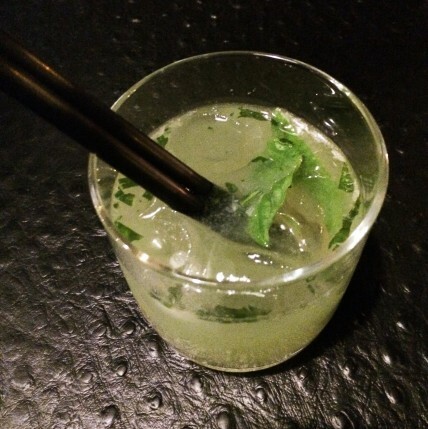 We started our night with a basil-gin cocktail, which was served with olives. For a restaurant focusing on grill dishes, we thought these olives could have better been replaced by a small grill snack. Grilled with marrow bones crunch of black olives and pesto. 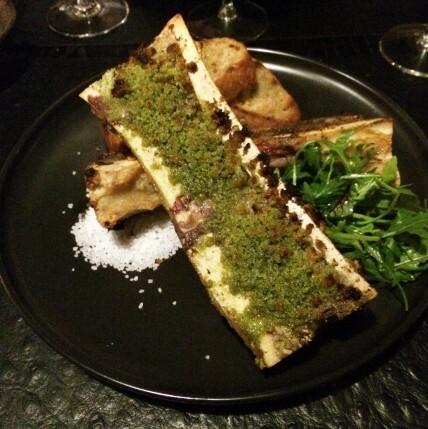 Tasty, large marrow bones with on one side a topping of black olives, on the other one a topping of green pesto. Quite salty but tasty and a nice combination of the fatty marrow and the crispy toppings. Served with 2 slices of brown bread baked with garlic and sea salt. 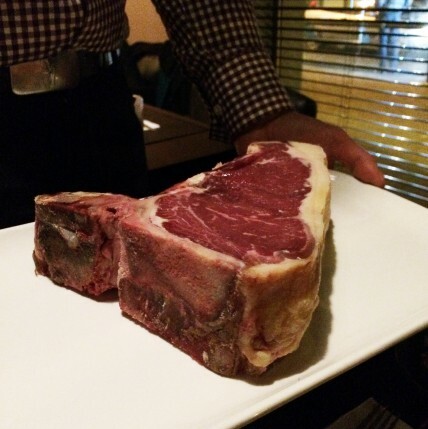 The Côte à l’os is presented at the table before the starters, just before the piece goes on the grill. Beautiful color and odor, slightly veined and with a thick layer of fat (+- 1 cm). The meat is served with fresh and homemade fries and a jacket potato. We also get a small salad in a cucumber jar. The flesh of the meat is unfortunately a little too tough (not due to the cuisson, but because of the structure of the meat itself), and is a little bit disappointing in terms of taste. 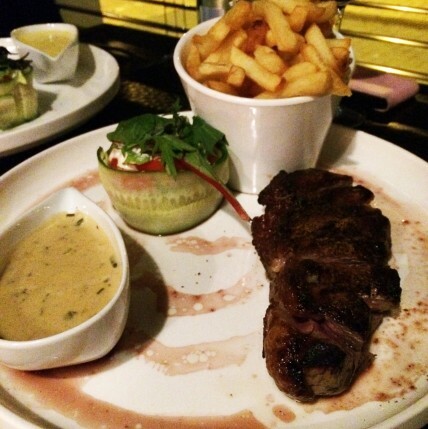 We also chose two sauces: pepper cream sauce and bearnaise sauce. Our other two other dining companions chose Scottona meat and Uruguayan Picanha, which were both better in terms of taste and definitely recommendable. 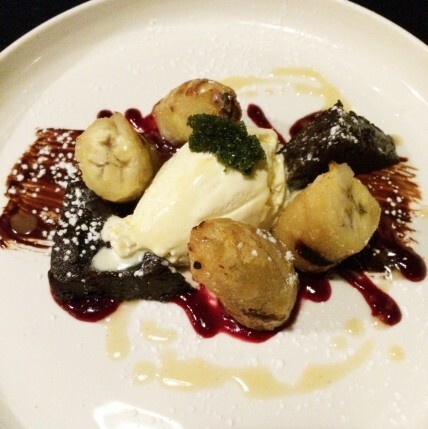 Banana on the grill with molten brownie, sauce with peppers, and ice cream. A nice, sturdy combination that blends perfectly with the grill concept. On the menu 6 house wines (French – 2 red, 2 white and 2 rosé), supplemented with 5 suggestion wines (only per bottle). The focus is clearly on European wines, and prices are correct with most wines under € 40. Various options by the glass, including the Spanish Ribera del Duero, Alconte, Bodegas Monte Castro, 2010 (8.50 euros per glass). A correct wine menu that fits the grill restaurant’s kitchen. 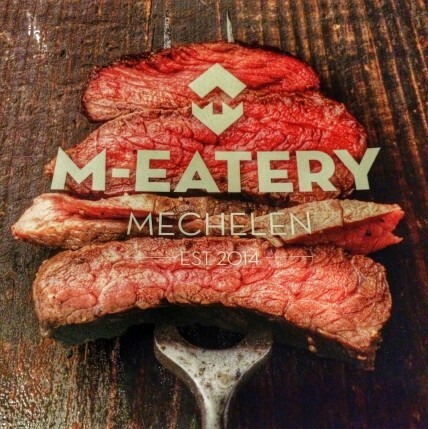 M-eatery certainly is an added value in the gastronomic landscape of Mechelen. The concept is contemporary, the interior is cozy, the prices are correct, and the food tasty. Guests come here to enjoy the best grill dishes in the region, in a no-nonsense setting and with a proper, loose service.